Following in the footsteps of our professionals, the GSC Young Company is a weekly course for 12-18 yr olds. Members devise and rehearse a brand new play inspired by our professional season, to be performed as part of Will's Birthday Bash in April. Guildford Shakespeare Company is like a family! The yearly play is really uplifting and the whole group perform so brilliantly it's hard to remember they are not professionals.....yet! 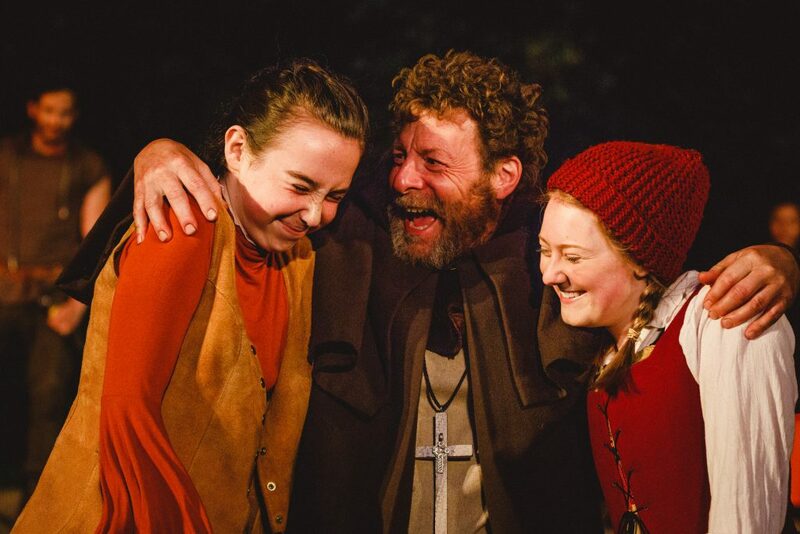 Over the last two years, the company have performed The Tale About Errors (based on The Winter's Tale, The Comedy of Errors & Much Ado About Nothing) and Midsummer in Romona (Julius Caesar, A Midsummer Night's Dream & The Two Gentlemen of Verona) in St Mary's Church to great acclaim. By intertwining three different plots, the company created new story twists and characters based on the originals. The course is led by GSC’s Associate Playwright, Ant Stones (Robin Hood, Alice in Wonderland, Grimms' Fairy Tales) and Francesca McInally. Each member of the company receives a mentor from the professional company, who provide one-on-one acting sessions. In addition, the company were cast in our professional production of Robin Hood. The course is split into three phases. Phase 1 will focus on devising the script through practical exercises. Phase 2 will rehearse and improve the completed script, leading to technical and dress rehearsals before the final public performance. The course is designed so children can join at the beginning of Phase 1 or Phase 2. Auditions will be held if the course becomes over-subscribed.